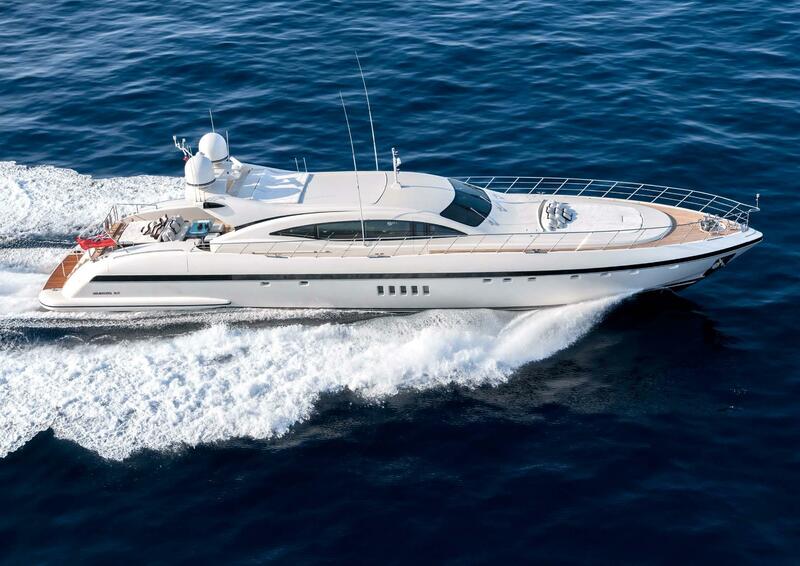 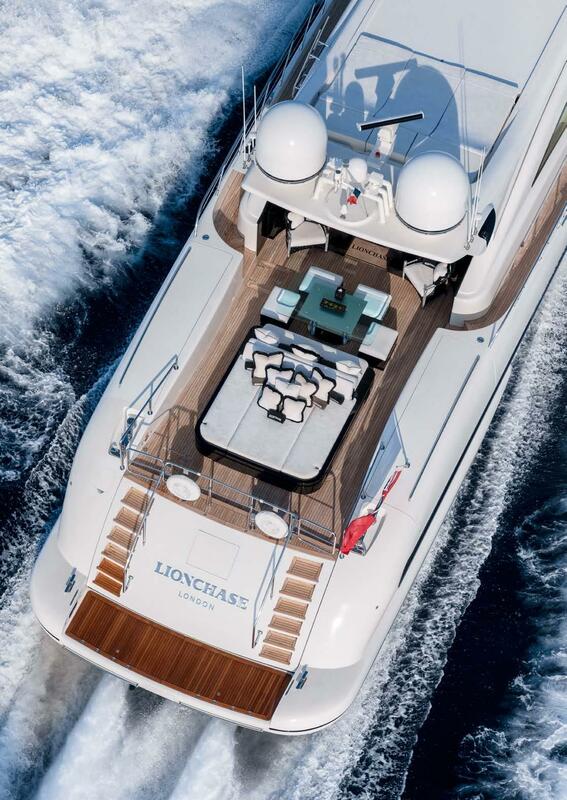 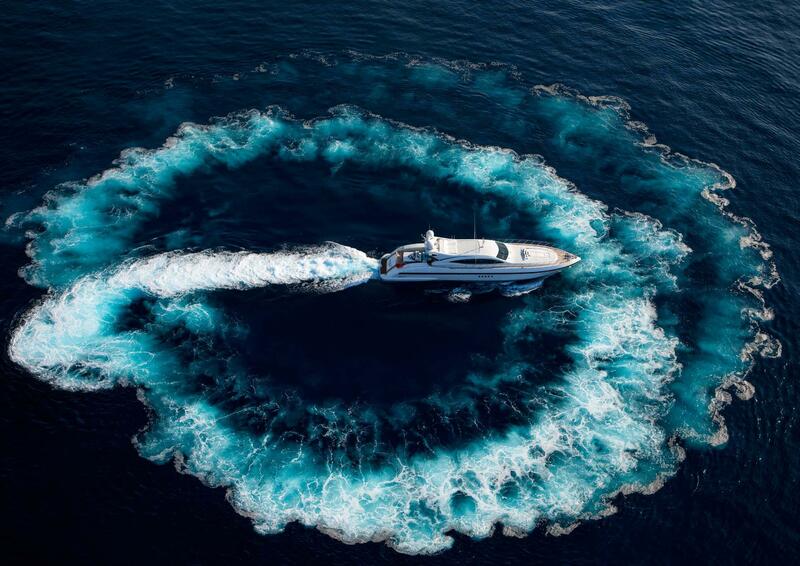 Built by Mangusta (part of Overmarine Group) in 2008, 33.5m/110ft open yacht LIONCHASE was designed by Stefano Righini with naval architecture by Andrea Bacigalupo. 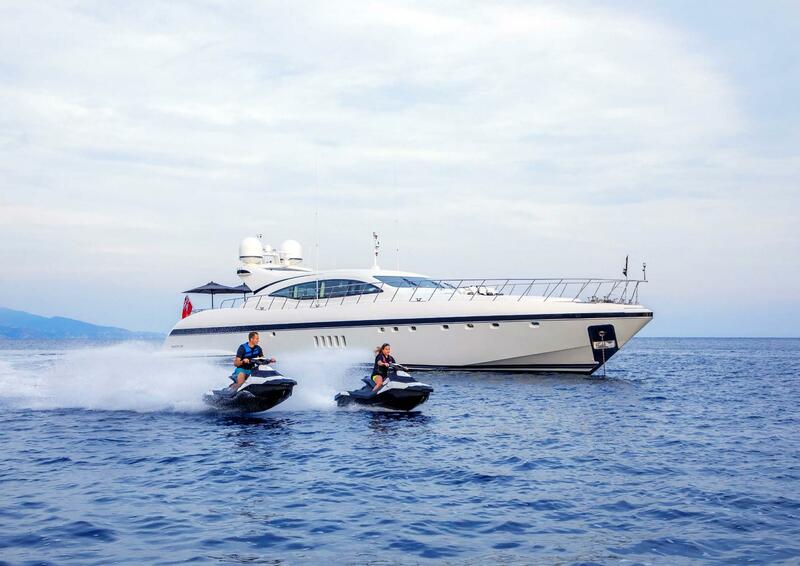 The accommodation sleeps a maximum of eight guests over four cabins, with an additional Pullman berth suitable for a child. 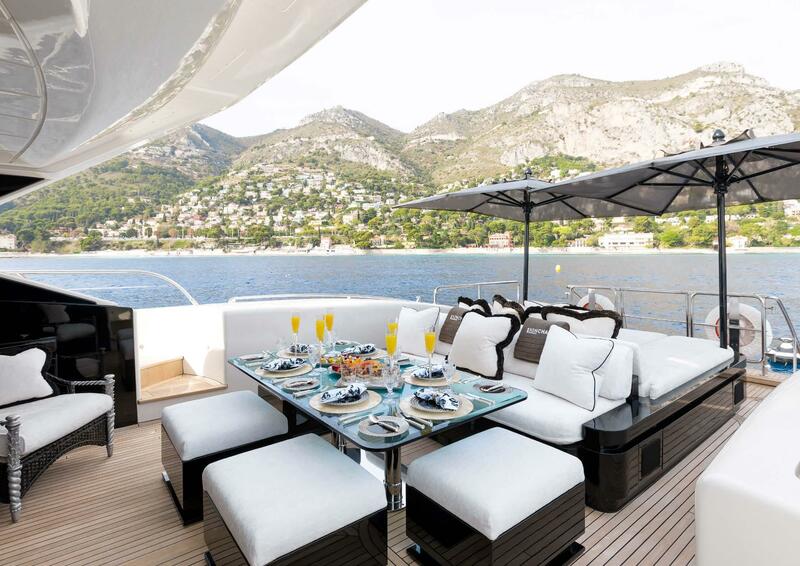 The swim platform guests can effortlessly access the water using the ladder and after a swim, the group can dry off on the main deck aft with the lavish sun pad/lounge setup and alfresco dining area that can be shaded using sun umbrellas. 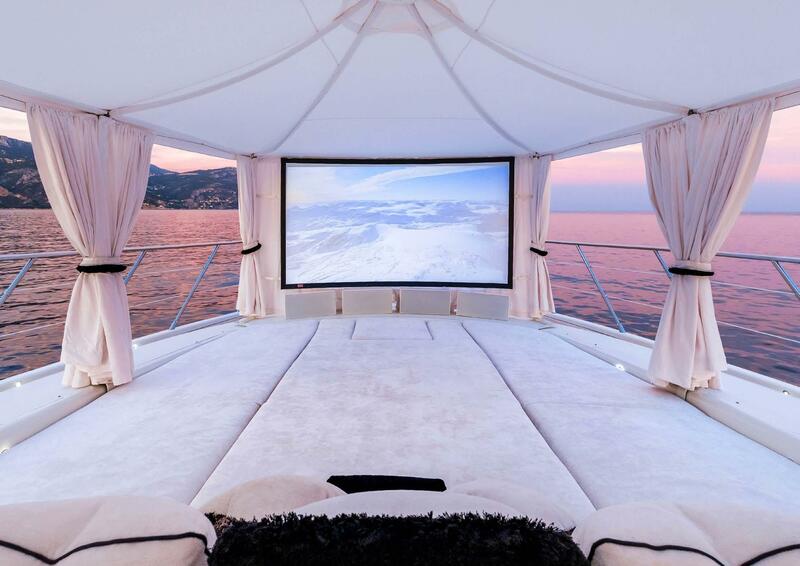 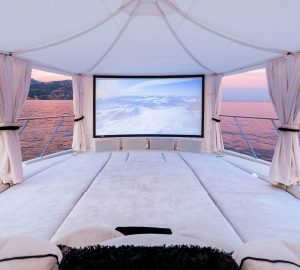 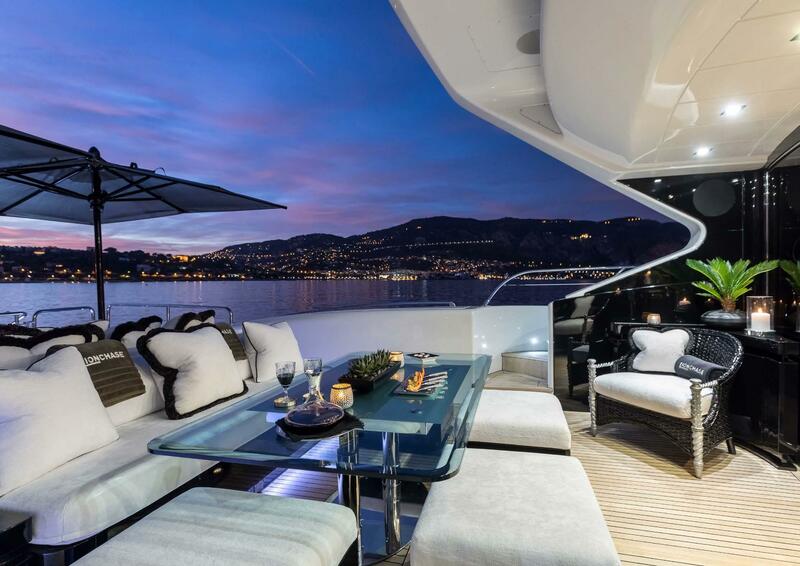 On the foredeck, the wide sun pad can be shaded at the top by a fold-down canvas and at night space can be turned into an outdoor cinema with a marquee set up to provide shelter and privacy. 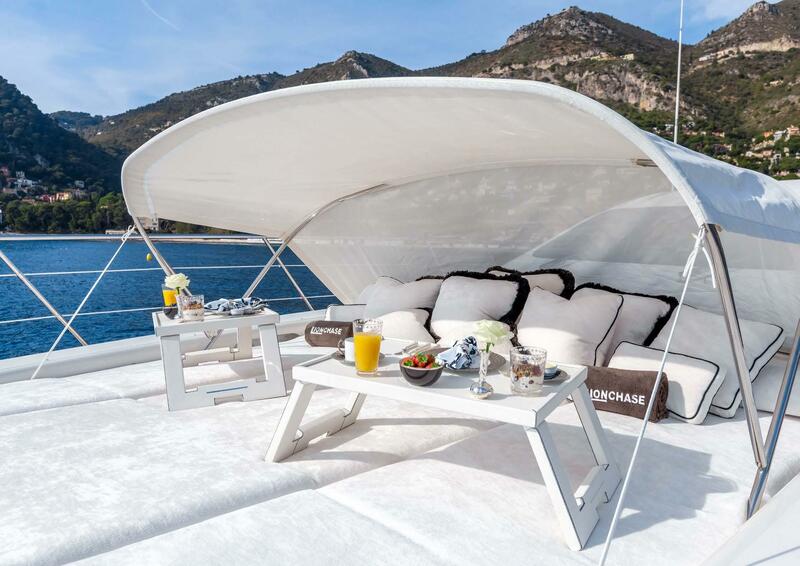 The flybridge above has an additional sun pad, allowing the group to split up and enjoy some solitary peace and quiet. 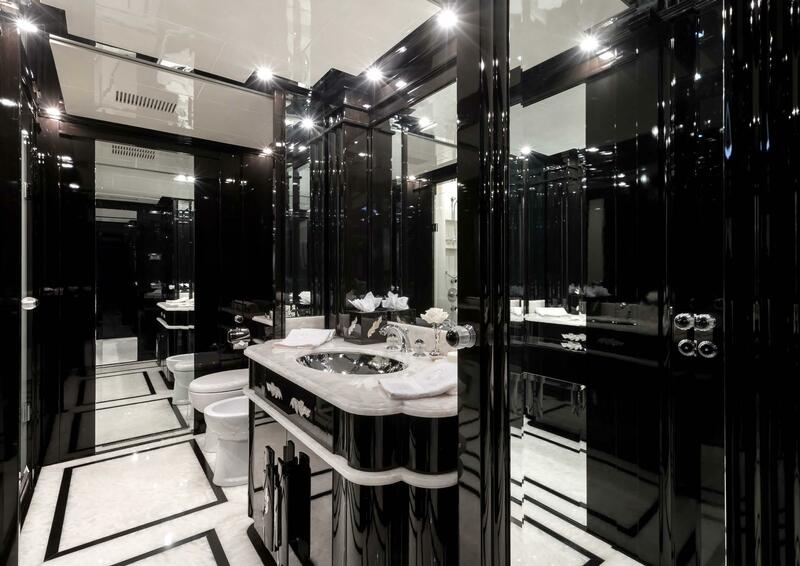 The lavish interior uses a black and white colour scheme for an ambient environment suited to formal occasions as well as glamorous holiday breaks. 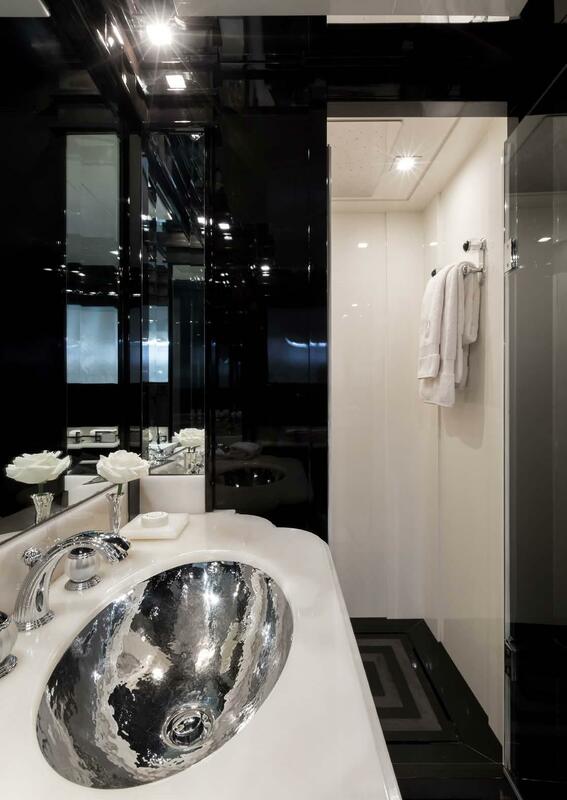 Gloss ebony panelling complements the white furnishings, all of which is shown off at its best by the natural light pouring into the salon from the long windows running down both sides. 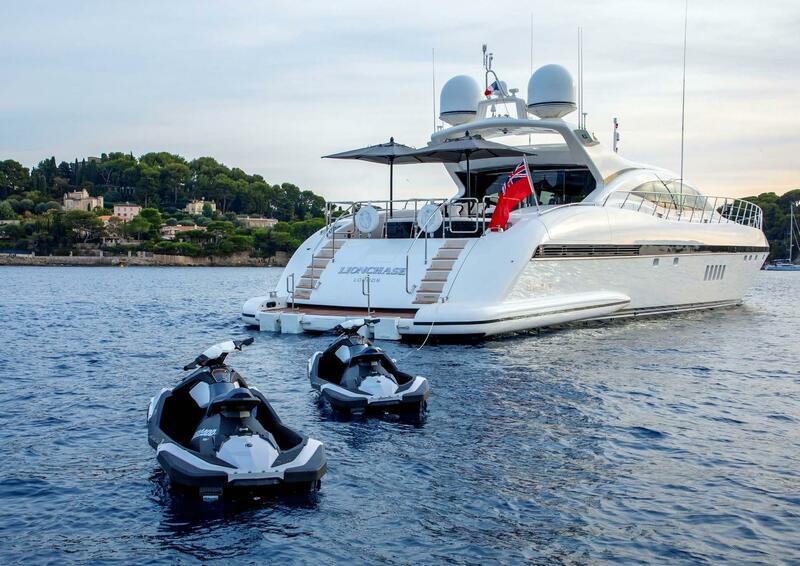 On the main deck, the salon provides a comfortable environment in which to relax with a film after a long day playing with the water toys. 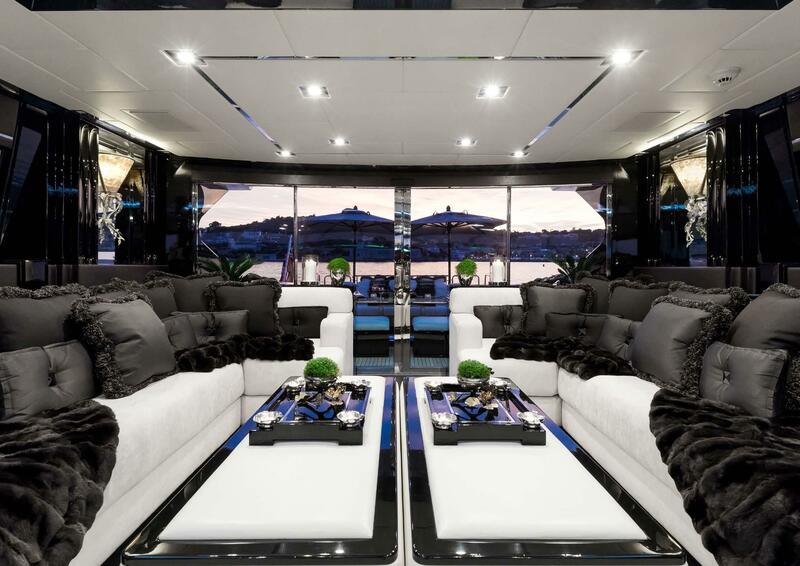 An L-shaped sofa is placed on the port and starboard sides respectively with two coffee tables in the centre. 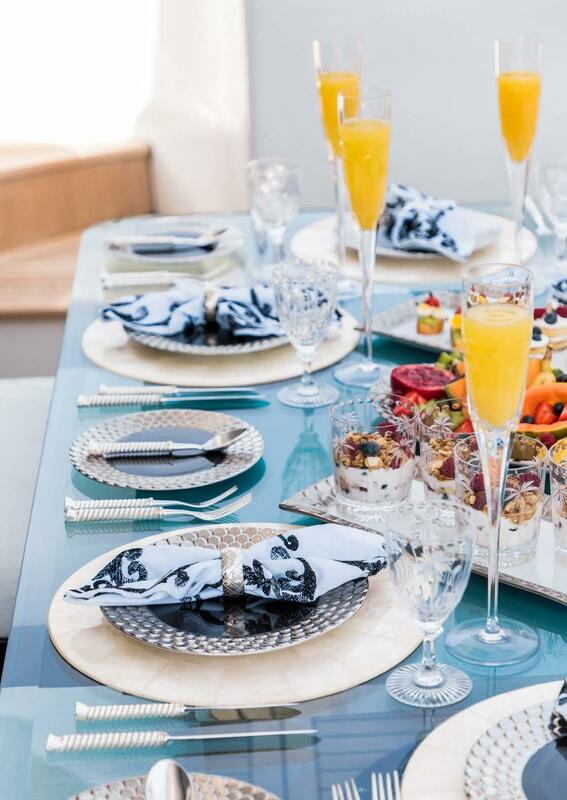 Forward, up to six guests can enjoy a lavish meal together at the glass-topped formal dining table, where the intimate environment is perfect for marking special occasions. 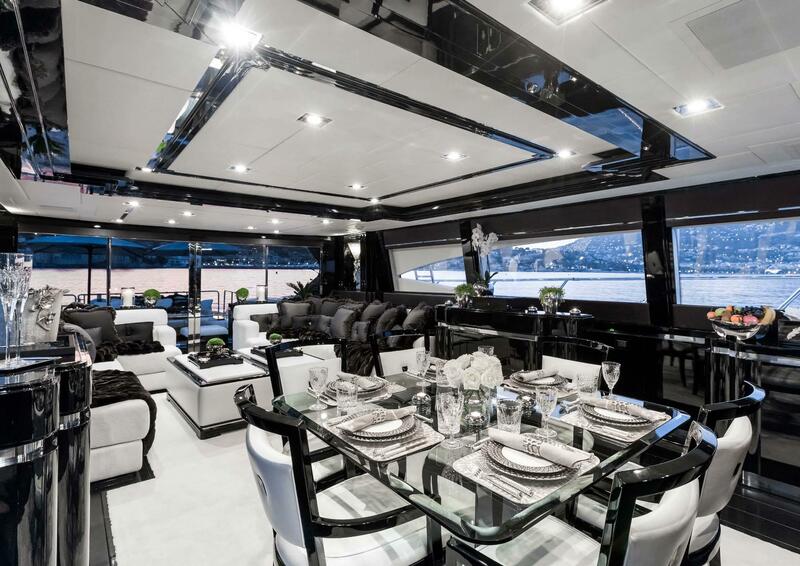 Below deck, the guest accommodation follows the same glamorous scheme as the salon and up to nine guests have a choice of a Master suite with widescreen TV, a VIP stateroom, a double cabin and a twin cabin with a Pullman berth. 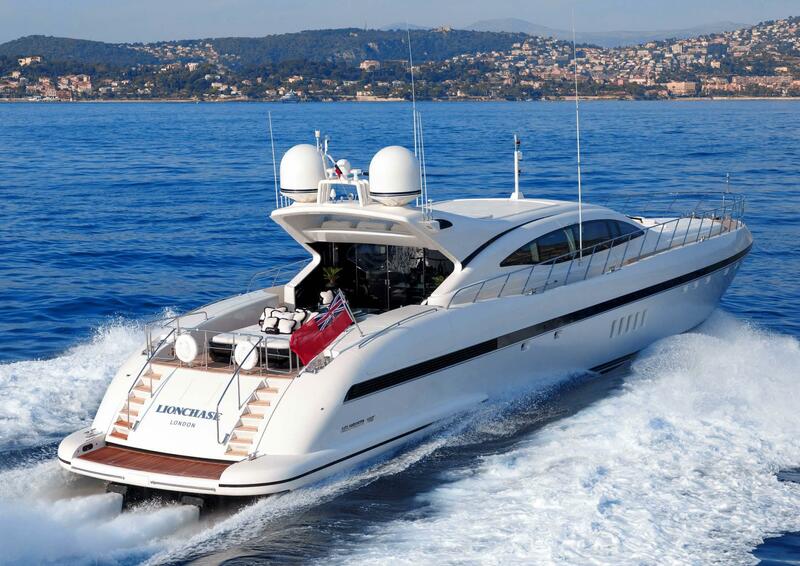 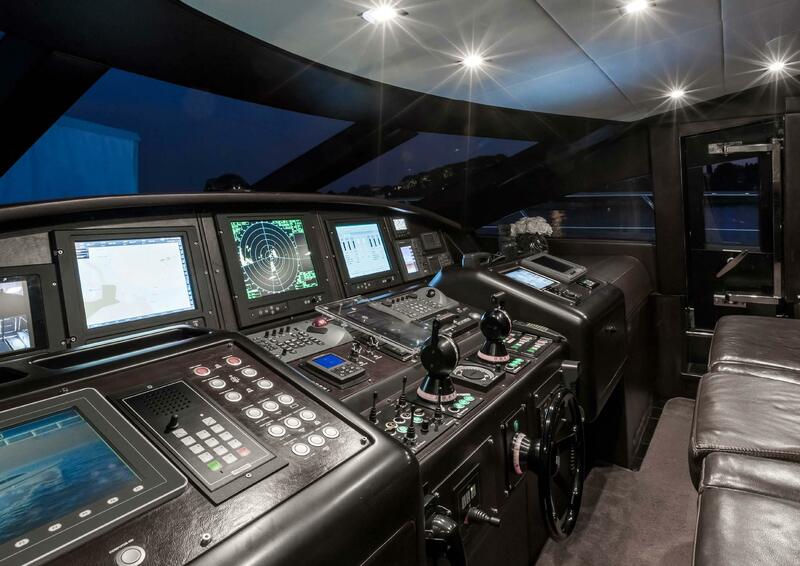 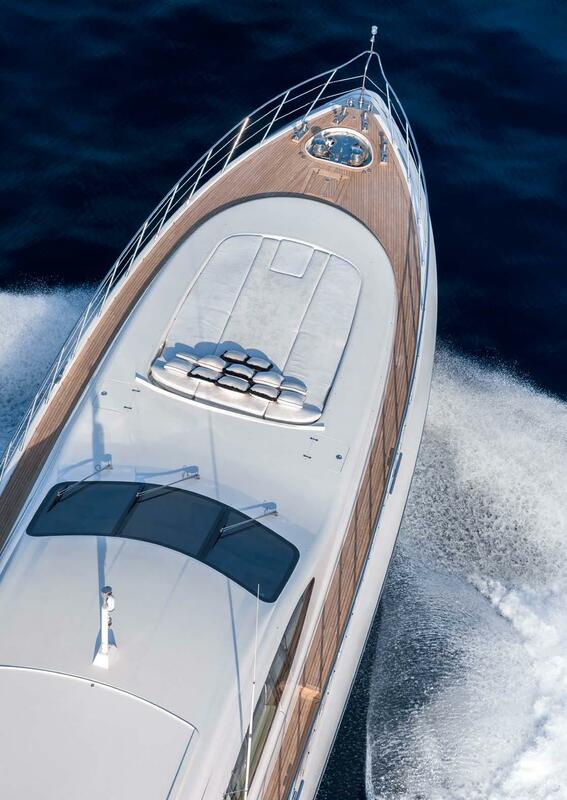 A pair of MTU diesel engines provides a cruising speed of 32 knots and an impressive top speed of 38 knots. 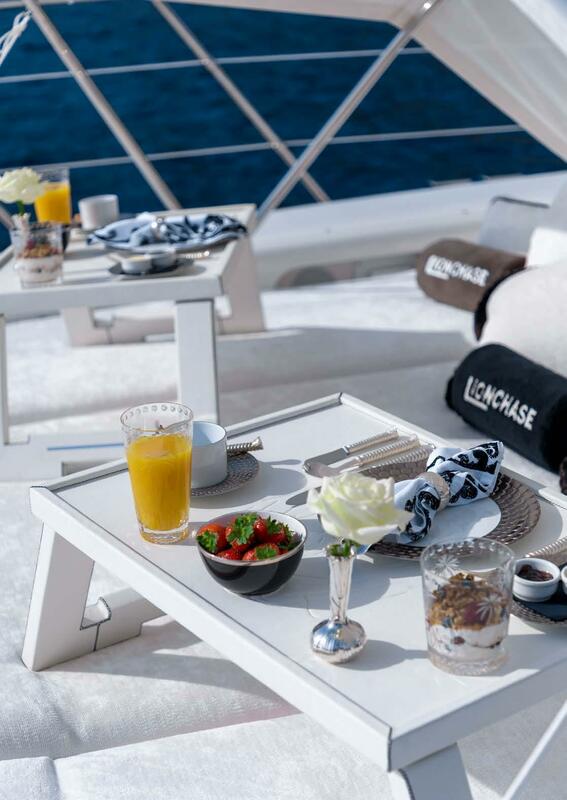 The accommodation sleeps 8-9 guests over 4 cabins: 1 Master suite, 1 VIP stateroom, 1 double cabin and 1 twin cabin with a Pullman berth, all finished in black lacquer with white furnishings for a glamorous monochrome finish. 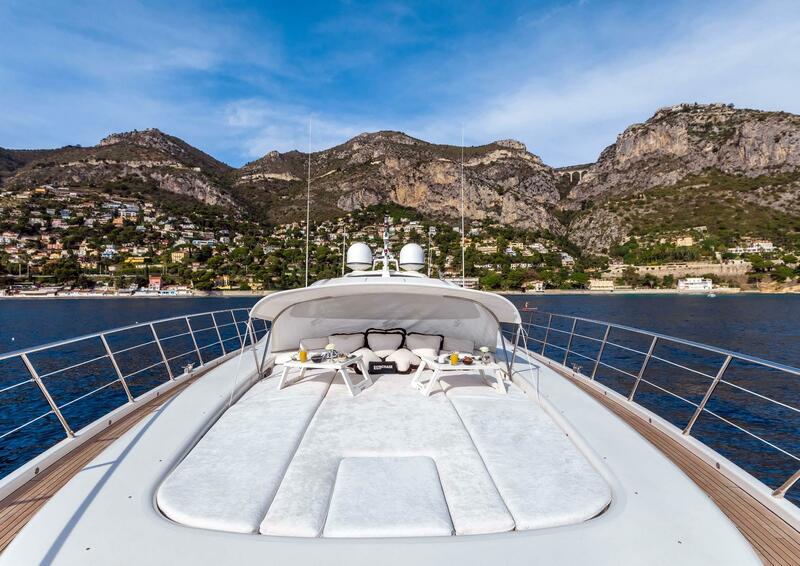 The expert crew of 6 will take care of everything on board throughout the journey. 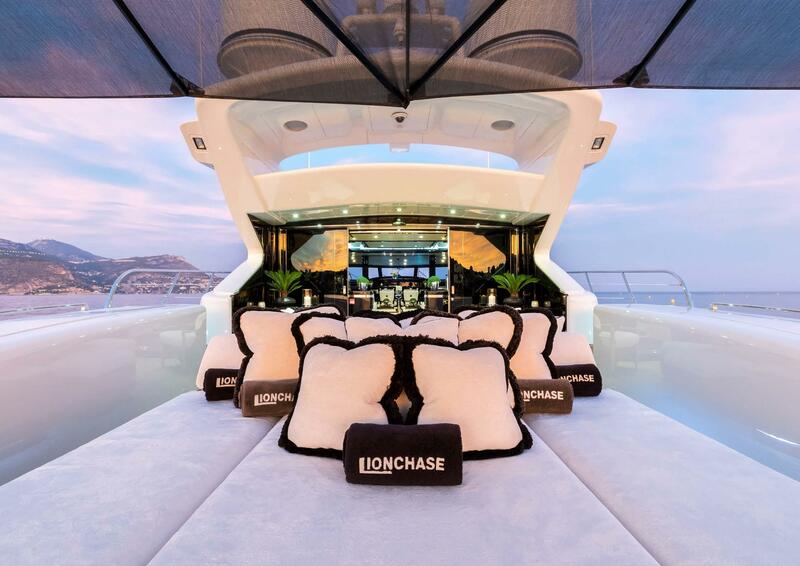 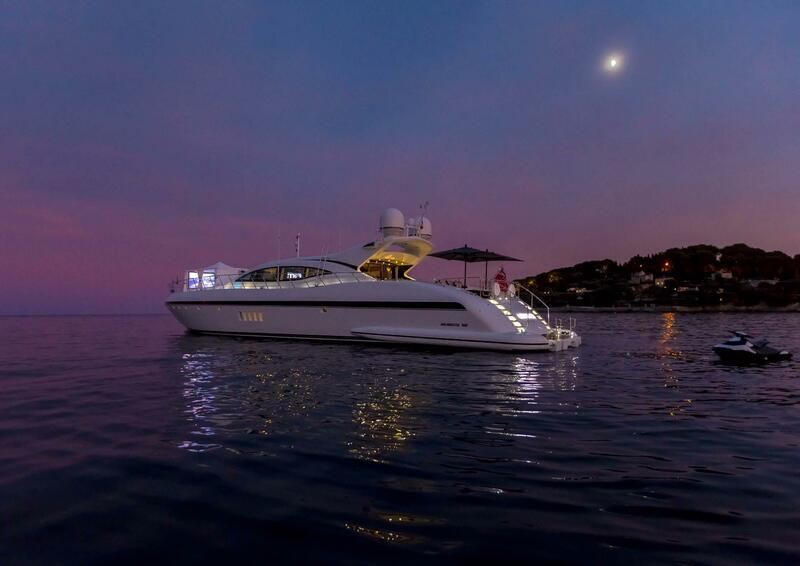 We do have available further amenity, owner and price information for the 33.48M (109'84") yacht LIONCHASE, so please enquire for more information.